The flag of Guatemala bears a strong resemblance to many other Central American flags due to the shared heritage of those nations, but it also features several elements that ensure it is a uniquely Guatemalan design. The design has been in use for more than a century, but it is not the first Guatemala flag to be authorized as a symbol of the nation or even the only flag that is in use today. 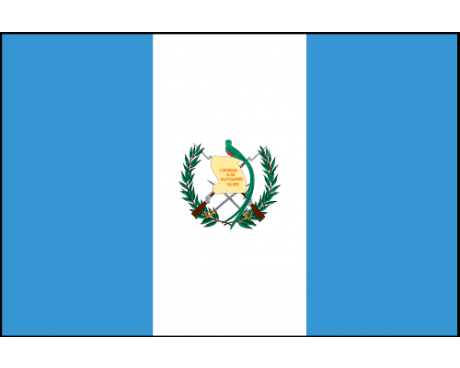 The flag of Guatemala features sky blue and white. The two sky blue stripes represent the two oceans that Guatemala sits between, the Pacific Ocean and the Caribbean sea; and the sky over the country. The white color signifies peace and purity. 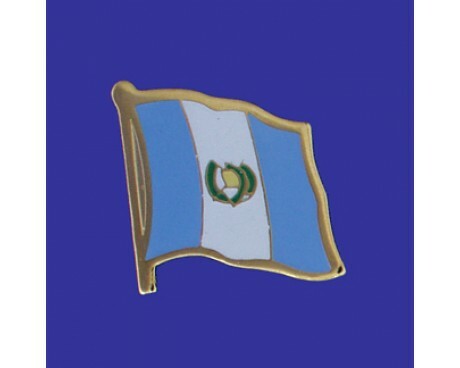 In the center of the flag is the Guatemalan coat of arms. It includes the Resplendent Quetzal, the national bird of Guatemala that symbolizes liberty; a parchment scroll bearing the date of Central America's independence from Spain (15 September 1821) crossed rifles, indicating Guatemala's willingness to defend itself by force if need be; a bay laurel crown, the symbol for victory; and crossed swords, representing honor. 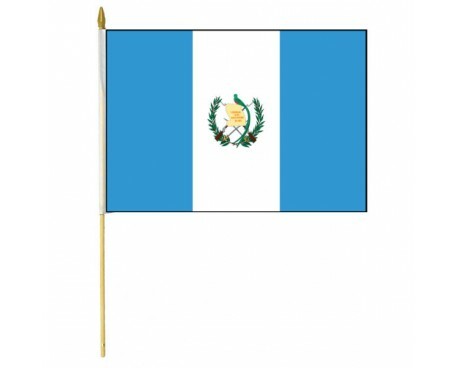 The national flag of Guatemala is a vertical triband that features a central band of white that holds the nation's coat of arms nestled between two bands of light blue. The blue stripes represent the two oceans that surround the country, while the white band represents peace. The coat of arms includes the resplendent quetzal, which is the Guatemala's national bird and a symbol of liberty in Central America. It also features scroll of parchment that displays the date when Central America first became independent of the Spanish Empire. The parchment stretches over swords that represent the nation's honor, rifles that represent its willingness to defend itself and its liberty by force, and a crown of laurels that represents victory. The history of the Guatemala flag began when Central America won its independence from Spain. The oldest design dates back to 1825. It was a horizontal triband that featured a central white stripe without any emblem between two stripes of dark blue. An emblem that was intended to represent Guatemala was added to the flag in 1838, and the emblem was altered in 1843. The flag changed dramatically in 1851. The central stripe remained, but half of each blue band was replaced on the hoist side. The top band gained a red section, while the bottom band gained a yellow section. The flag changed once more in 1858, when the government adopted a design that featured a thick yellow stripe in the center that was flanked above and below by three stripes of blue, white, and red. That design was used until the modern flag came into use in 1871. Guatemala has also authorized a flag to represent its indigenous people. It was formally adopted in 2008 and it is used alongside the national flag at all government events. It is divided into four parts of white, black, yellow, and red that each represent one native group. 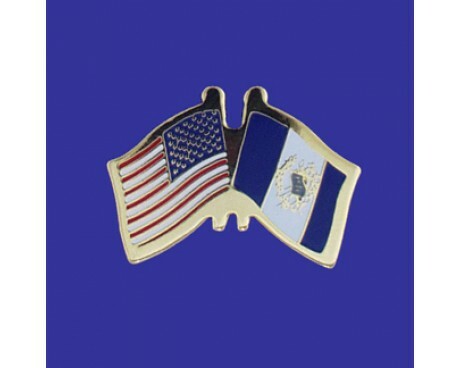 The sections surround a central emblem that represents the nation's native heritage.